The sun is shinning, the rain is starting, you and hear birds singing outside you window every morning - it's officially spring! That means it's time for your garden to make a comeback from the cold, harsh weather of winter! 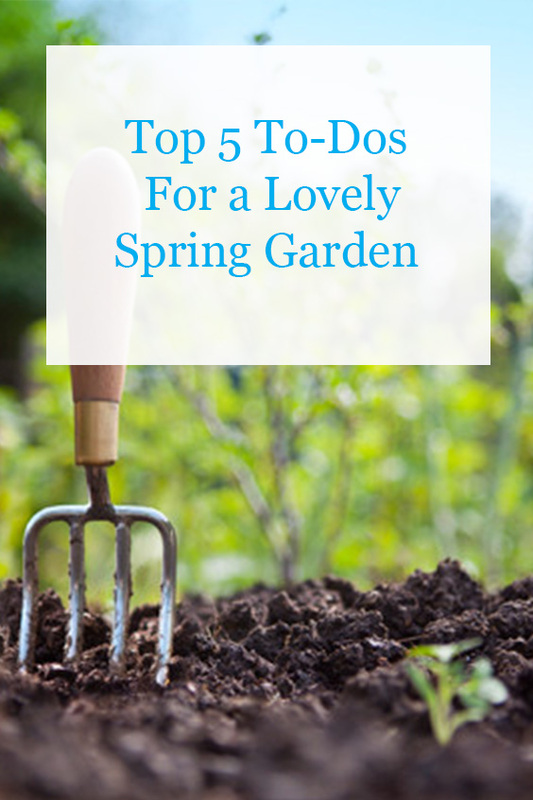 Below you will find our to-do list for a lovely spring garden! 1. Start by cleaning out the garden. It's time to remove any leaves, left over snow, weeds, etc! It's also a good time to pull out to your gardening tools - your soil will likely need some care! 2. Revitalize and invest in your soil. You'll likely need to add some moisture back into your soil since it's probably dried out, and packed down after these last few weeks of snow! Add in organic materials like compost or manure. You also might need to ad din more fertilizer to increase the health of the soil! 4. Plant away! Some of our favorite spring plants are: Pansies, Lettuce, Peas, Arugula, Redbuds, Lilacs and Tulips! 5. Prepare for the rest of spring! Mid-spring, think on some new flower beds, start to plant your hardy annuals, and consider adding some mulch! For late spring, prune any flowering shrubs!